My lovely sister and I have quite a few family traditions that we enjoy doing together, and one of them is making handmade Easter baskets and bunnies each year. This year I wanted to make something again that they could keep using year round, but this time I decided to go down the 'no sew' route. I absolutely love how they turned out! These were so fun to make and nice and quick too. I did all four in a day (including working out how I wanted to make them). 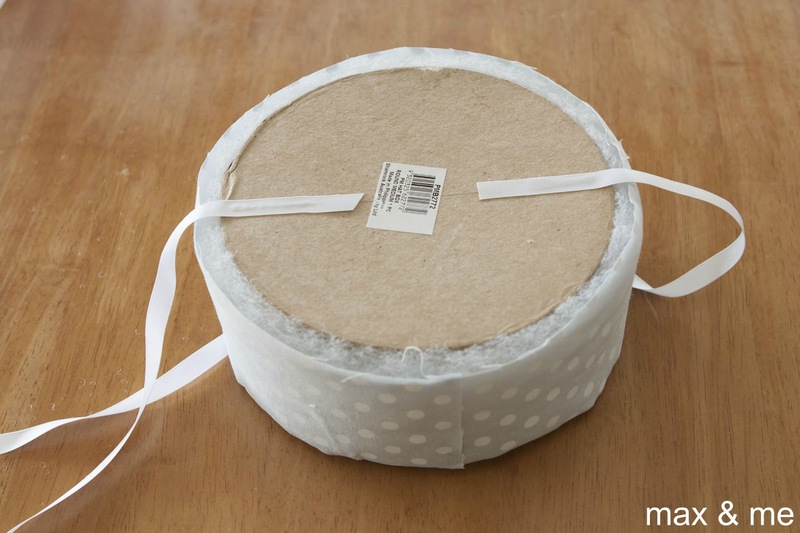 Start out by smearing fabric glue around the outside of your box and then wrap the batting around it. 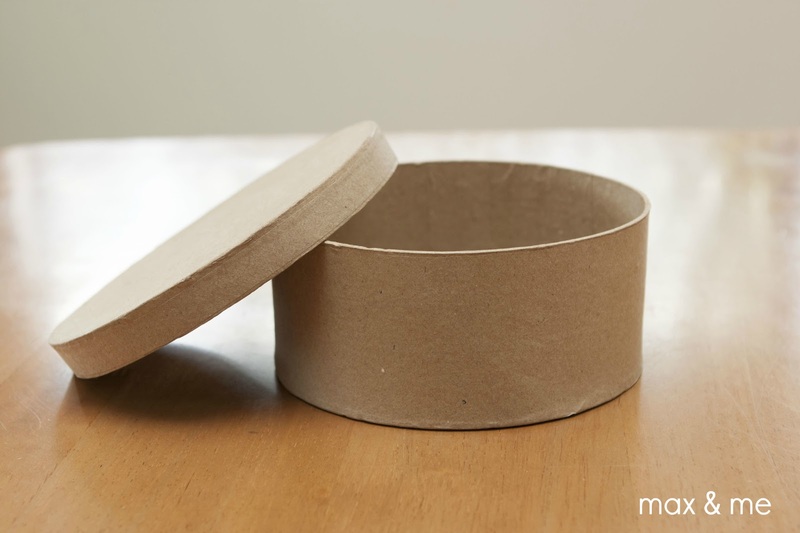 Hold for a minute or so until dryish, then trim your batting down level with the top and bottom of the box. 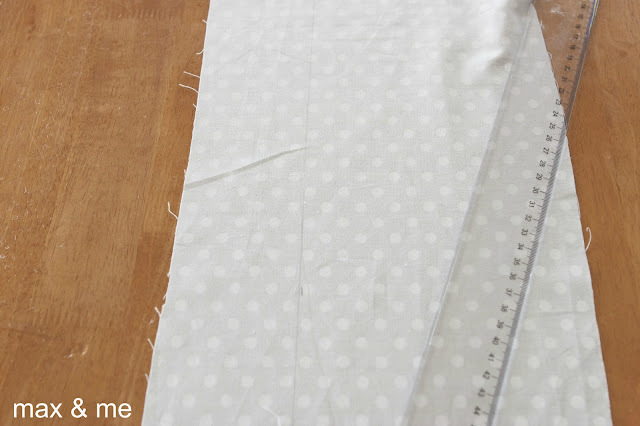 Next up lay your fabric right side down on the table and measure off a section the same height as the sides of your box (mine was 7cm). Paint that section with fabric glue and then wrap around your batted box. 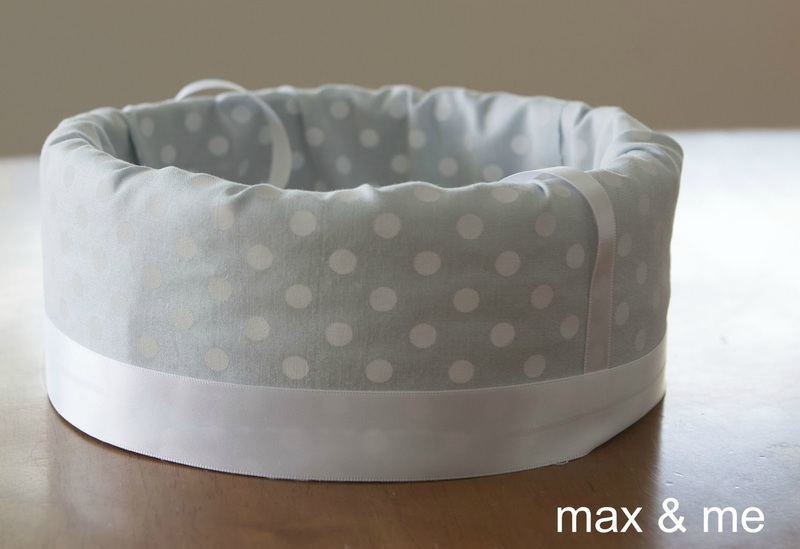 You want the edge of the fabric to be even with the bottom of the box and all the excess to be up at the top of the box because the excess fabric will be folded in to cover the inside. 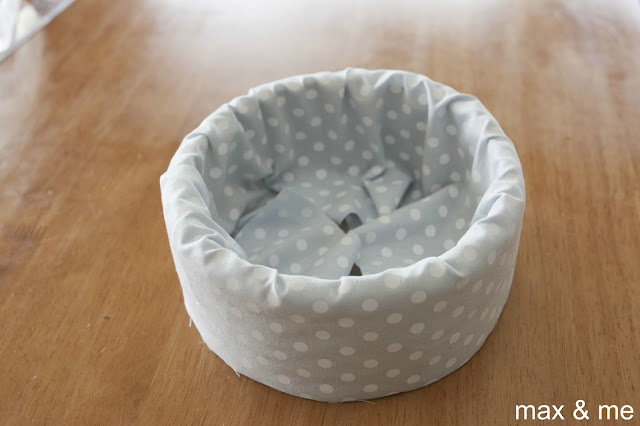 Once you've folded all that fabric in it's time to make the inside base (which will cover up all that extra folded fabric). 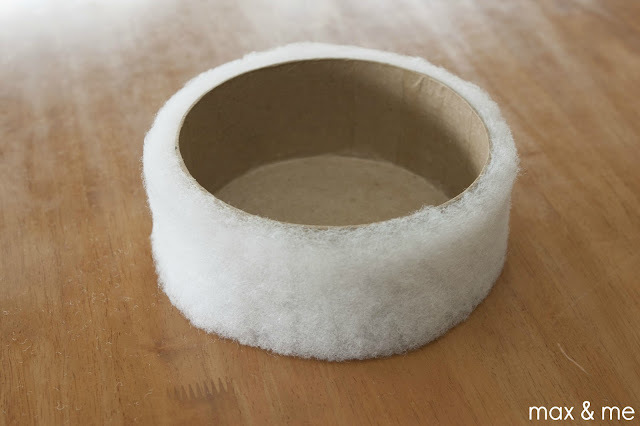 Take your lid, cut the lip off of it and then trim it down so that it will fit snugly inside the box. 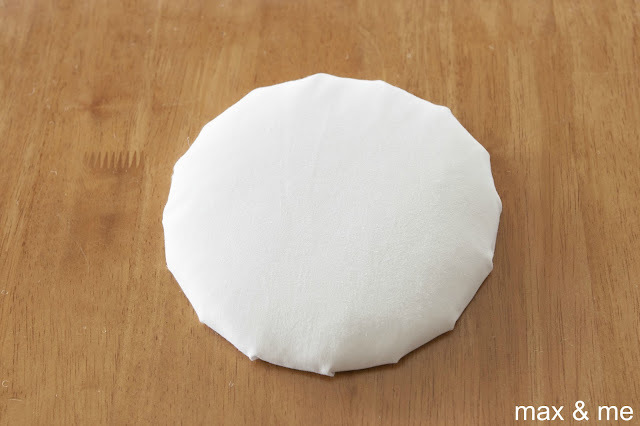 Using your fabric glue again stick some more batting to the circle and trim it into shape. 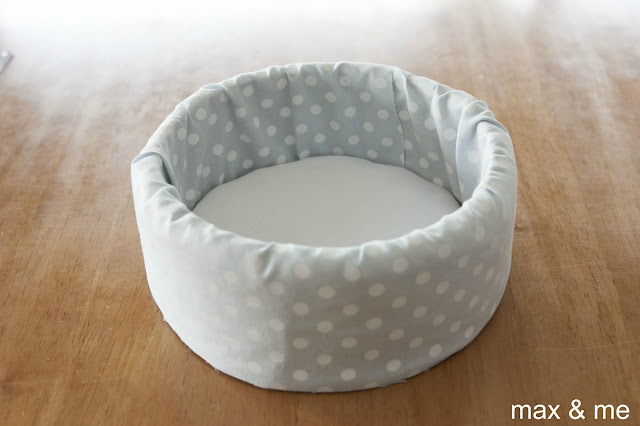 Then cover your circle in some more fabric (I used some cheap white poplin I had left over from making Max's headboard). 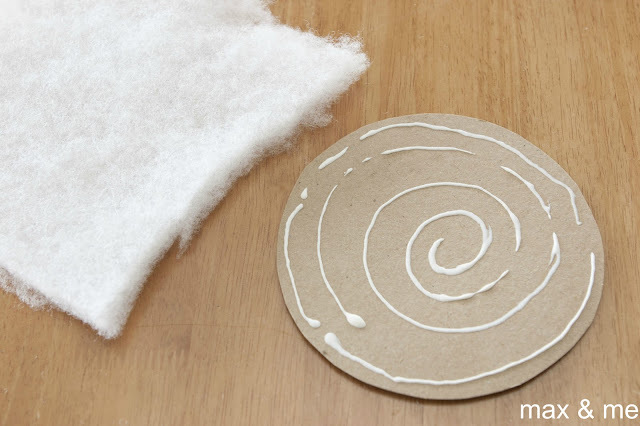 Leave it to dry from a couple of minutes before pushing the circle down into the inside of your basket. 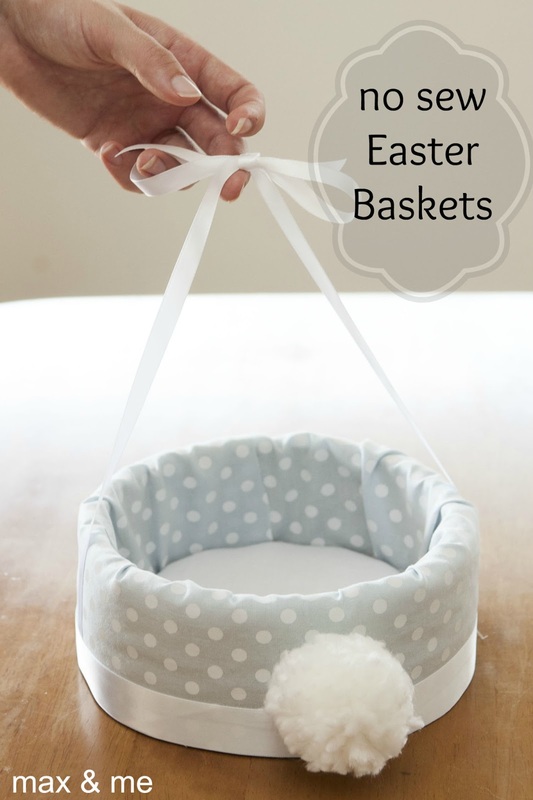 To make the ribbon handle, attach some ribbon to the underside of your basket with hot glue and then secure the ribbon up the sides of the basket using some more fabric glue. 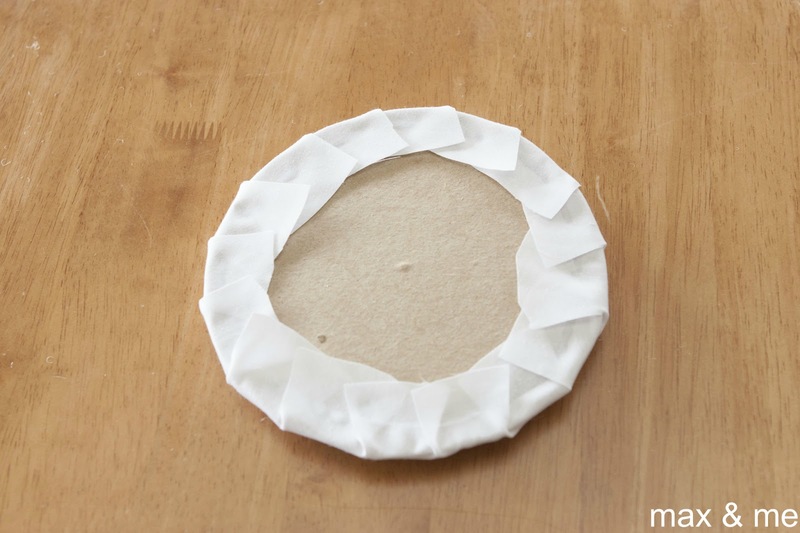 Then glue a thick ribbon around the base of your basket. 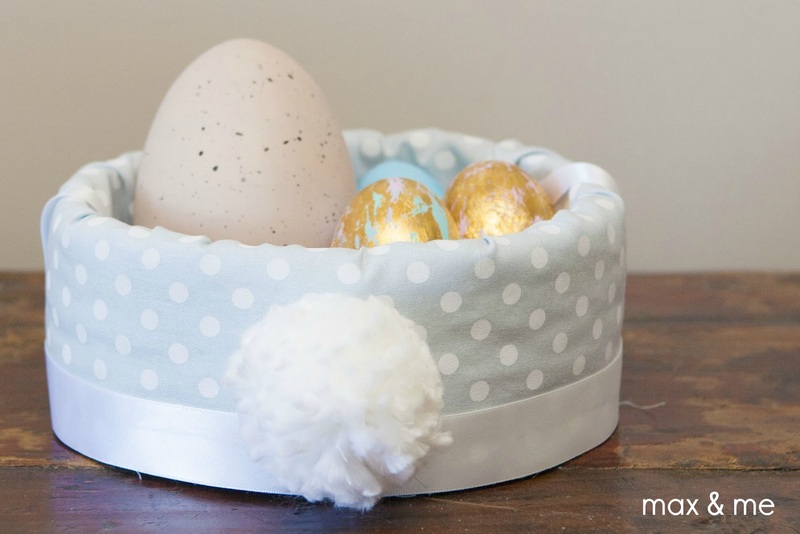 Last but not least make a sweet little pom pom (tutorial here) for the bunny tail and hot glue it to the front of your basket. Done! One very sweet little Easter basket (or in my case four of them!). Jenny's working on some co-ordinating Easter bunnies to go in the baskets, I'll share them as soon as they're ready to go :). Those are adorable! But my teenagers might be a bit too old for such cuteness. We bought metal mesh rectangular baskets to use this year and probably reuse for future years and/or other uses throughout the year. I've actually been using one to corral some supplies for a recent project. I love the idea of using wire baskets, perfect for when my boys get a bit older too! These are SO adorable! 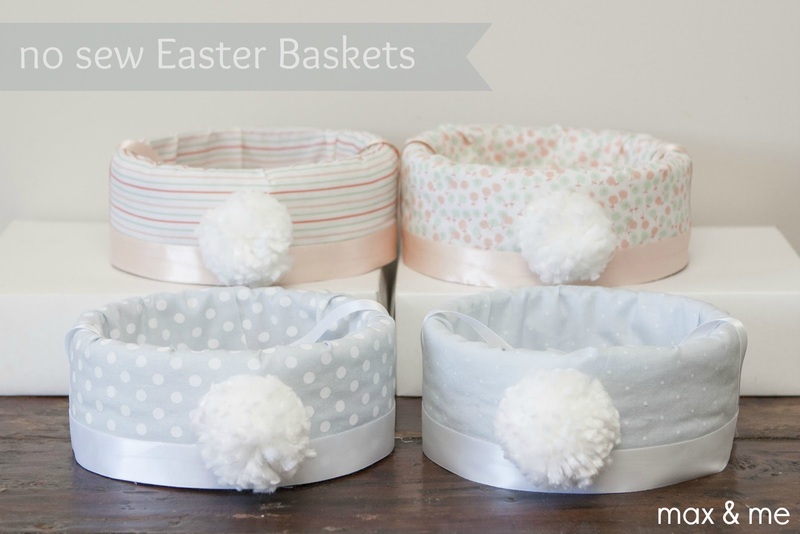 I was so set on making baskets similar to the ones you did last year but time has gotten away from me and now I want to make these ones (too? lol) Elias might not get a basket until next year. I won't be able to decide what it will look like though! Thanks for sharing another great one! Those are so stinkin cute! I love the tails! Those are so cute! 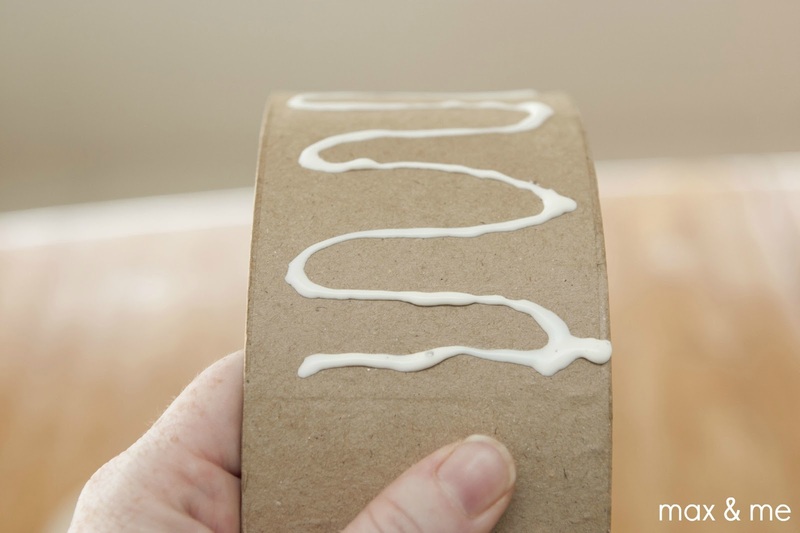 What did you make the tails out of? 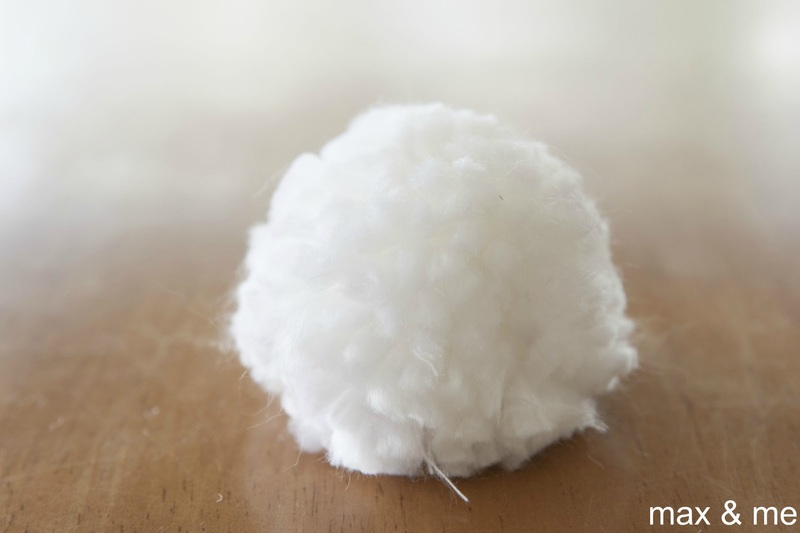 It looks fluffier than yarn. Thanks Mindy! I don't know a lot about different yarns, I just grabbed a super fluffy one from the craft store. It was definitely a lot fluffier than the regular stuff. I hope that helps!